People like to get updated about new televisions and cells and hardly show any interest in the development of new lock systems. Though, homes are living organisms and the requirements for their protection change over the years. For this reason, it is important to renew, improve and reinforce the security of each home and this can happen with the assistance of Residential Locksmith Calgary. We adapt our methods to the new needs and adopt new technological changes in order to provide you with the most adequate locks and fight effectively crime. 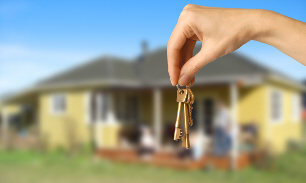 Home lock rekey is an old, yet effective way of shielding homes in Alberta but our company will actually give you many choices to maximize security. Thousands of house keys get lost, stolen or damaged every year in Calgary and such losses would lead to unnecessary waste of time or even to some frightening moments. 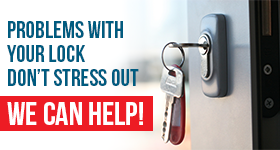 Today, there is no reason to wait for hours out of a locked house because our 24 hour locksmith can assure you immediate intervention and assistance. We can unlock any door and replace keys with great speed. Of course, if you want to eliminate the possibility of frequent lockouts, regular lock change is the answer. We can inform you about the new locks but we can also assess the needs of your house and make our own suggestions. One thing is for sure. All entrances would need good locks and our company can offer both excellent solutions and outstanding residential locksmith services. Our work is adjusted to the needs of each client and property and you can be sure of our great knowledge on the right installation procedures. In the meantime, you can maintain the security of your house at high levels with frequent lock repair. We have the means, expertise and equipment to fix any lock or even rekey any lock and you can be sure that our Residential Locksmith in Calgary will certainly offer you cheap solutions of high quality.